Keep your friends and customers nice and toastie this Winter as well as advertising your business details and company logo upon our Company Embroidered Fleeces from Calendar Lady Promotions. Just choose the colour and we'll see that they all get Embroidered with your personal business details and company logo. Then give them away and have a walking advert to help promote your business details this year. 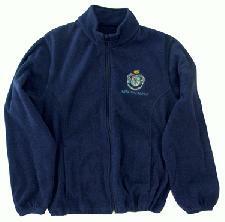 More of our Company Embroidered Fleeces here. To find out more about our Company Embroidered Fleeces click here and fill in the contact form and we'll be in touch. Other promotional and personalised items besides our Company Embroidered Fleeces click here to view our entire range.